Planning a holiday party that your guests will never forget? Make sure you’ve got the perfect gifts to serve as a reminder of the best party ever! Synergy Print Design has helped the Widener ROTC team look great with custom t-shirts for the past four years. Now, they wanted us to create something that was unique to their organization, just in time for their annualMilitary Ball. This evening, filled with formal attire, age-old traditions, and celebration deserves to be commemorated. 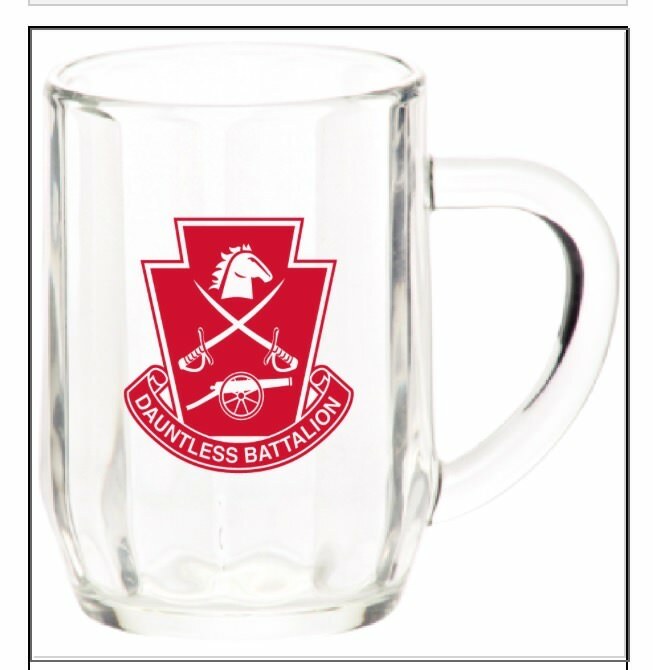 This year, the Cadets asked Synergy to create custom glass mugs for everyone to take home at the end of the night. When we sent them the design of their mugs, the Cadets were very pleased. When we sent them their free quote, they were ecstatic! The mugs would make the perfect gift, at an amazingly reasonable price. 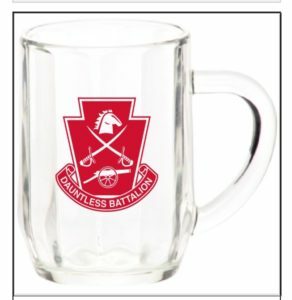 These custom glass mugs hold 16oz of liquid and display the unit crest of the Dauntless Battalion of Widener ROTC. They were a real hit with everyone at the Military Ball, and are a sure reminder of a special night spent with comrades. Synergy can do way more than custom apparel this holiday season. Give the gift of unforgettable, customized cups, mugs, and other awesome gear to your family, friends, and colleagues! Click here for your free quote on custom gifts and promotional items from Synergy Print Design.